On MLK Day, I helped out at Longstreth K-8, painting a mural in the school cafeteria. My mural is a pretty white tree with pink, purple, blue, and green leaves. It also has a giraffe and a quote. Our school did more than just painting; we made blankets, t-shirts, and care packages. We also had a showcase with some of our students. It feels good to give back to my community; I live a couple of blocks down from Longstreth. It excites me to think of the children’s faces when they see their cafeteria. We transformed their cafeteria from rundown cartoons to some new unique designs. The children at the school were even volunteering, and it’s always great to see youth make a change too. 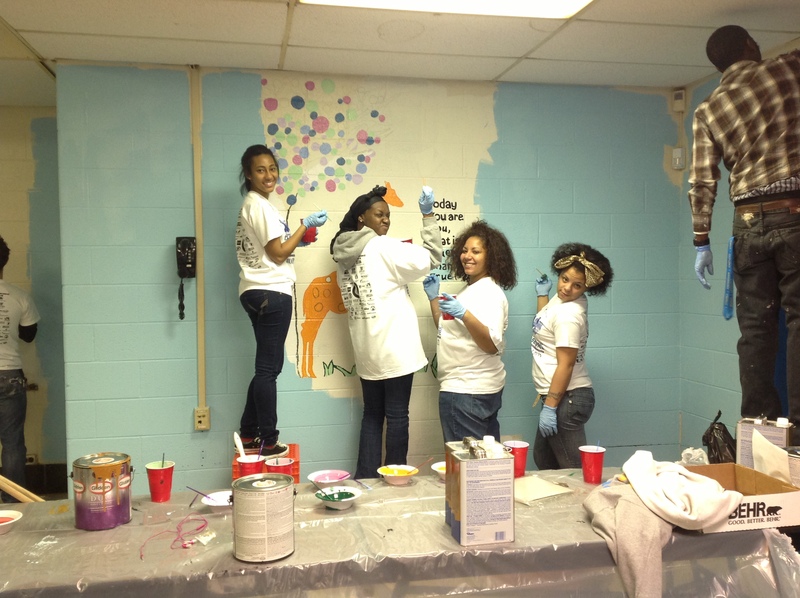 Check out our summary of YouthBuild’s MLK Day 2013 event!